Make a modern scrappy quilt from the new book I just bought, Sunday Morning Quilts. Clean out and organize my fabric. Make backs and quilt the finished tops my sister made. Finish the hand appliqué scallops on my Fantasy Flowers quilt top. Then quilt it, the back is ready to go. Exercise every week. Ugh gotta do it. Make a biscornu. It's a little embroidered pillow or pincushion. I saw it on a blog and now I have to have one. Start my spring garden, oh wait it's too cold right this minute....wait till March. Make more hexies, and make them into a scrappy bright lap quilt. I have lots more to add but I need to go clean the garage and make my last donation to the good will today for the year. Here is my mosaic for this year's project, not all of them because I didn't take pictures or have a blog at the time. I do love blogging, it keeps me focused on what I love to do and maybe I will start my second career here, the possibilities are endless.....it's a NEW YEAR!!!!! What are your plans for the NEW YEAR???? 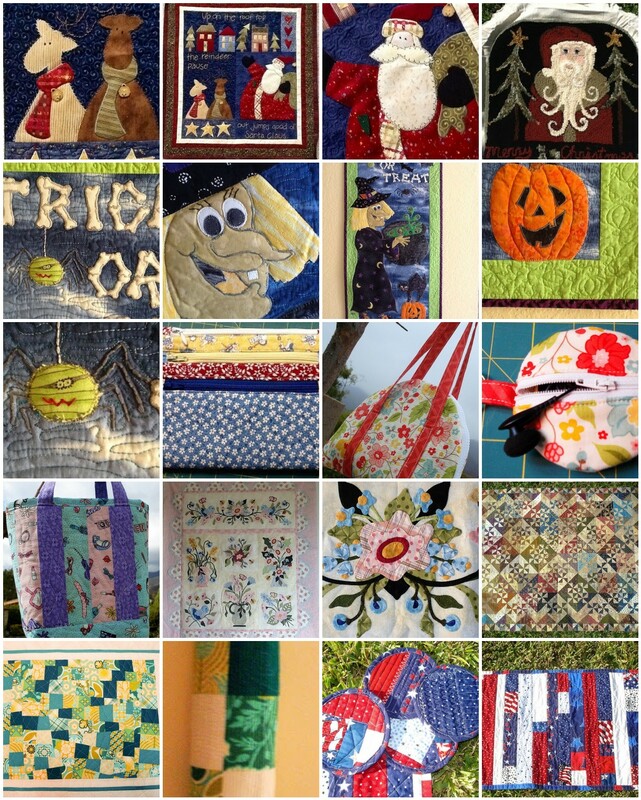 Link up below to share your 2012 projects.